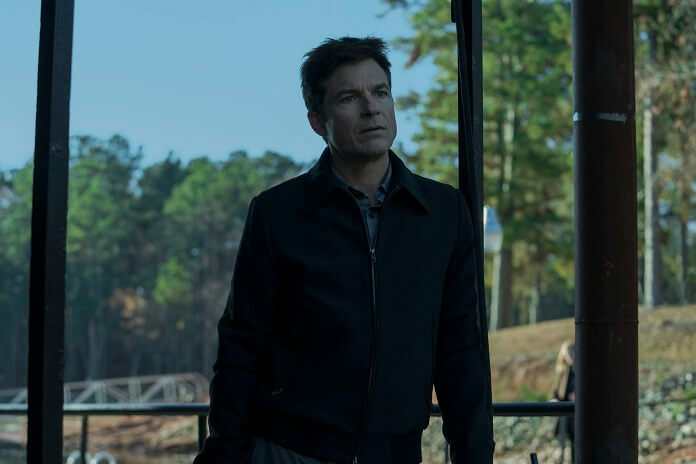 Ozark is back for another season and that’s not Jason Bateman’s only Netflix hit. The streaming giant also signed him to a long-term producing deal, and they’ve still got half a season of Arrested Development to air. So, Bateman had a lot to talk about when Netflix presented an Ozark season 2 panel for the TCA. The Byrde family still has a lot of fallout to deal with since Martin (Bateman) got in business with the drug cartels. Season two promises a lot more twists and turns, which Bateman spoke about with reporters. 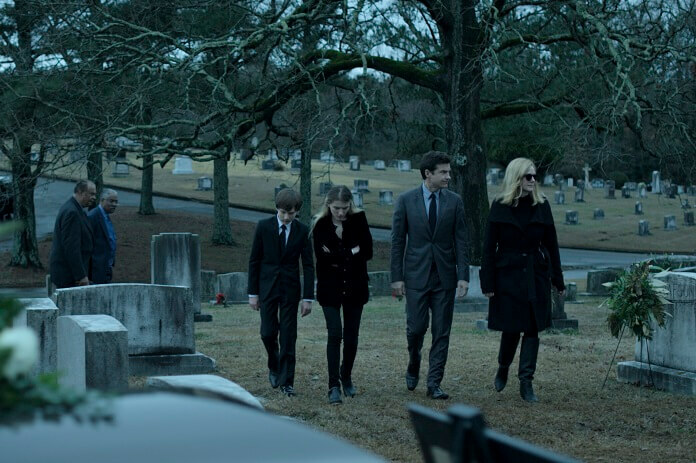 Ozark returns August 31, 2018 on Netflix. What was your reaction to your two Emmy nominations, acting and directing? What does an Emmy win mean for you? Jason Bateman: “Believe me, I am not anticipating a win whatsoever. I think we were probably right at the border of even getting any nominations so I’m happy with that. That we’re involved with that night is going to be a real special evening. I can’t imagine what that calculus is with any sort of wins. Why did you want to make the producing deal, what were some of the other options in front of you and what are the expectations? Jason Bateman: “Well, I’ll give you the short answer. The long one would be boring. I’ve always admired what Ron Howard and Brian Grazer did with Imagine, and specifically what Ron did with his acting career, and as he started to absorb how the sausage is made, wanting to have that chair, and that privilege, that honor of overseeing the complexities of making fake life. It’s kind of sneaky tough. It’s a really interesting thing to do. And then from a producorial standpoint, he did that as well inside that company, along with Brian, and going into comedy and drama, and television and film, and small and big. And, you know, currently Netflix covers all that and then some, and they also happen to be run by a group of people that I’m just personally really fond of, and they could not be more kind of supportive. And the whole culture there is the same. And they were open to supporting that dream of mine, and it makes sense since I’m kind of already there doing these other things. Does Netflix share any viewership data with you as a producer? Jason Bateman: “I make a point not to ask because they are, again, their level of support might lead me to believe that they would tell me things that I just don’t think I want to know because I so appreciate and respect that dynamic of their business where they’re not obligated to do that. They don’t need to address ratings for ad dollars. I get it. What would we learn about law and order in the Missouri Ozarks and money laundering from Ozark? Jason Bateman: “Well, the money laundering part of the show, and I’d be happy to hear your thoughts on this, is hopefully tamped down and doesn’t bore you with the weeds and sort of the mechanics of all that stuff. What do you learn about law and order in the Ozarks? I mean, I don’t know. We’re not trying to make an accurate documentary about what the crime rate is there like at the Ozarks. It just happens to be the place where Bill Dubuque wanted to have this thing set. What is chemistry and what do you do if you don’t have it? Jason Bateman: “If you like somebody, chemistry just kind of happens. You know, it’s really not something you can be deliberate about. If you don’t have good chemistry with someone, i.e., you don’t like them, there is another level of work and effort you kind of either have to be conscious of or you’re subconsciously aware that I really have to yell at this person in this scene, but I don’t want to do it too much because they know and I know we don’t like each other. And, so, you kind of have to semi-apologize for that. To what do you attribute the popularity and success of season one and how does Ozark feel different from other TV experiences you’ve had? What’s your sense of whether there’ll be another Arrested Development season? So they’d wait until after those air to decide?